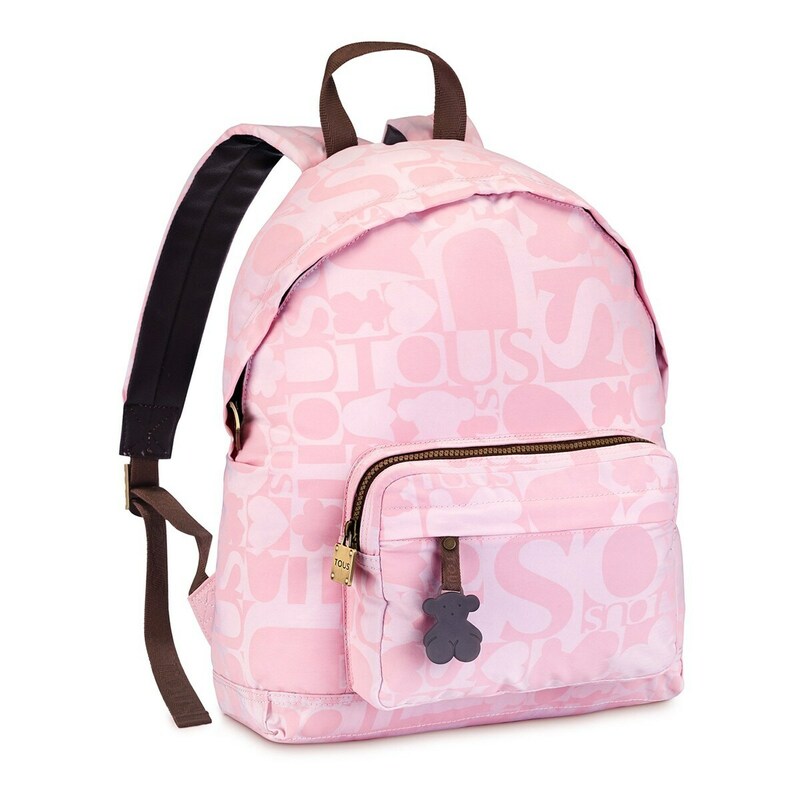 TOUS Cubik Colores collection backpack. Water-resistant nylon combined with calfskin leather. 41cm x 32cm x 13cm.